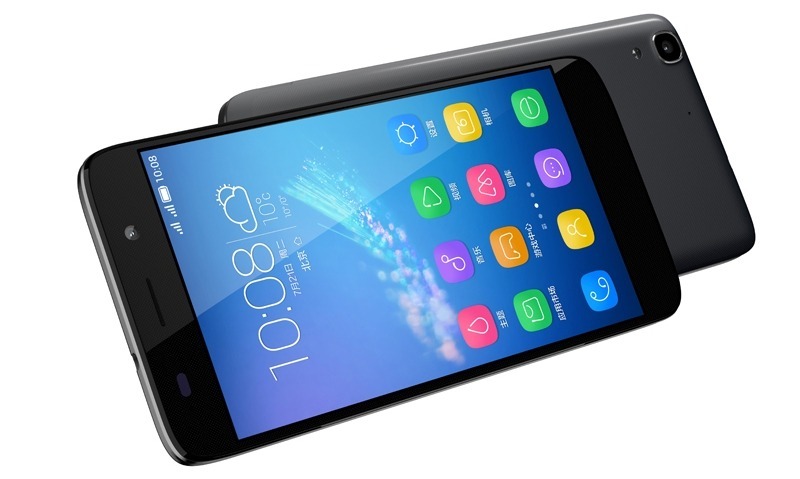 Huawei launched a new smartphone ‘Honor 4A‘ at a press event held in China. This entry-level smartphone offers pretty decent specs considering the price of CNY 599 (approx Rs. 6,100) for 3G variant, and CNY 699 (approx Rs. 7,200) for the 4G LTE variant. The design of the device looks similar to the Honor 4X and Honor 4C. Coming to the specifications, the Honor 4A sports a 5-inch HD (1280×720) IPS display with the pixel density of 294ppi and comes powered by Snapdragon 210 MSM8909 quad-core processor clocked at 1.1GHz coupled.It has a 2GB of RAM and 8GB of internal storage along with MicroSD card support (up to 128GB). The battery on this device is of 2,200mAh capacity and according to the company, it lasts for 300 hours on standby and gives 10 hours of talk time.There is an 8MP rear camera with F2.0 aperture and LED flash, and a 2MP front camera with ultra-wide selfie feature. It runs on Android 5.1 Lollipop based EMUI 3.1. Both 3G and 4G LTE variants come with dual SIM dual standby support. The Honor 4A also offers other basic connectivity features like Wi-Fi, Bluetooth 4.1, GPA/A-GPS and microUSB 2.0. It measures 143.5 x 72.1 x 8.5 mm and weighs about 155 grams. The device will be on sale starting July 28 in China and available in the colors – Black and White. There is no information about the honor 4A launching outside of China. Recently the company launched the Honor 4C and Honor Bee in India for Rs.8,999 and Rs.4,499 respectively. In India, the ‘Coolpad Dazen 1‘ which is priced at Rs.5,999 offers much better Snapdragon 410 processor, a 5MP front camera and a slightly bigger 2,500mAh battery while the other specs remain same. If there is any more information about the device, we will get to you with an updated article.